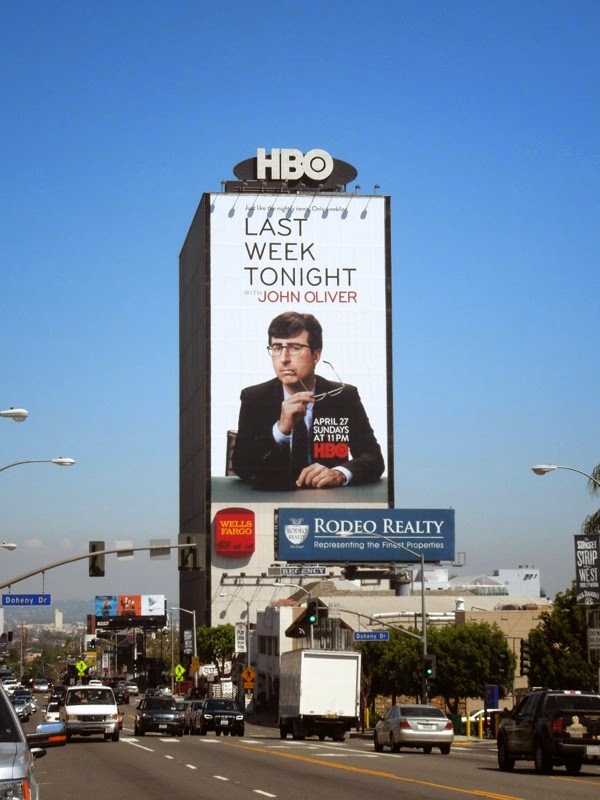 With the landscape of late-night talk shows changing at a rapid pace and being revitalised in a big way for the first time in forever, who will be the new faces of satirical news and current affairs commentary, could it be John Oliver? 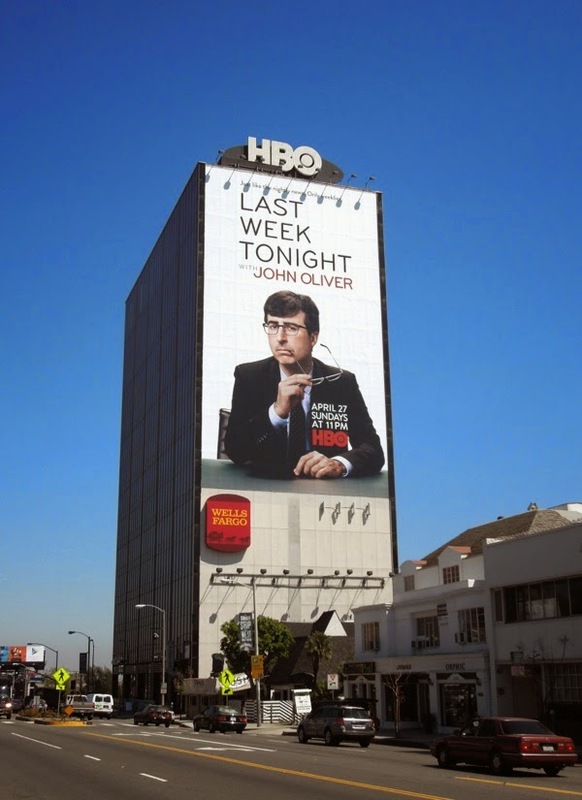 With Jimmy Fallon taking over from Jay Leno on The Tonight Show, Seth Meyers taking the time-slot vacated by Jimmy Fallon and Stephen Colbert soon to take over from veteran late-night host David Letterman, the times they are a-changin'. 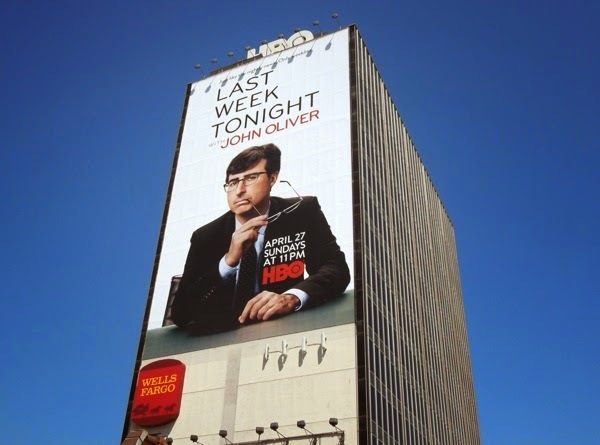 Following a guest hosting stint on The Daily Show with Jon Stewart, the British comedian with a penchant for political satire, gets his own talk show taking a look back at the week's events, news and current affairs. 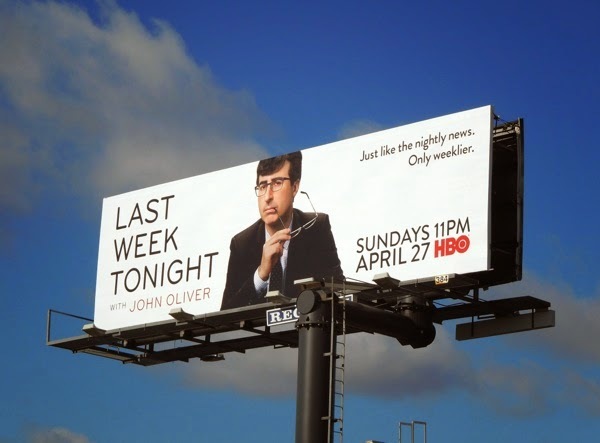 Daily Billboard likes the visual gag of him wearing spectacles and holding another pair in his hand, like a parody of some knowledgable expert. 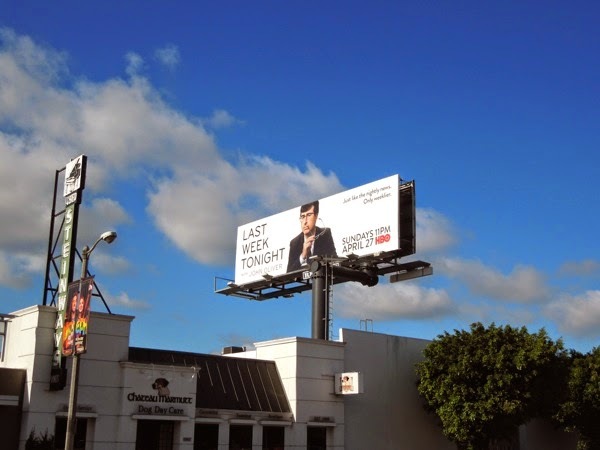 The landscape billboard ad was first spotted along Beverly Boulevard on April 1, whilst the giant-sized creative was snapped towering over L.A.'s Sunset Strip catching the eye of eastbound traffic on April 11, 2014. 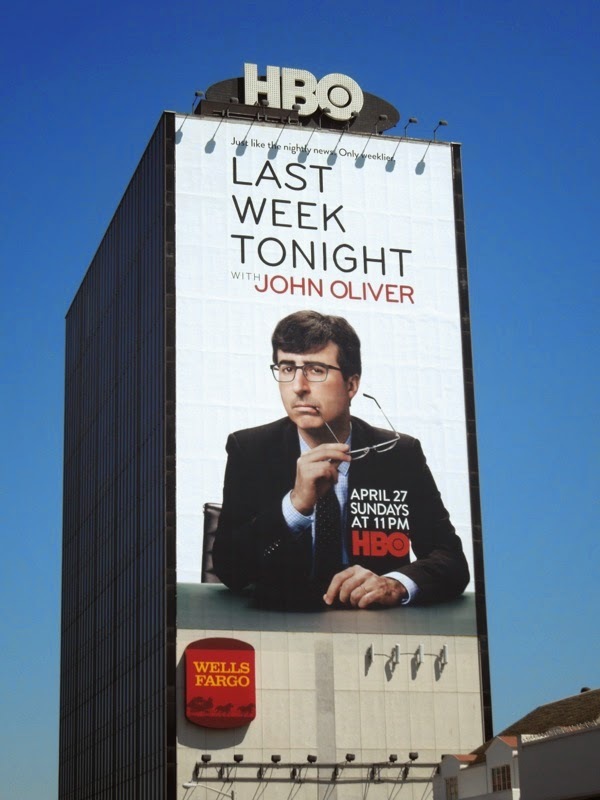 Get ready for a fresh show like the nightly news, only weeklier from April 27, 2014 at 11pm.